Just in time to take on the burgeoning trend of all in one media boxes, Sony has announced the new PS Vita TV. Not only does this small wonder let you use the wide range of Sony services like Music Unlimited, Video Unlimited and more on your TV, but it also has the ability to play PS Vita games! Sony is clearly also thinking of the future, because the PS Vita TV ties in nicely with the upcoming PlayStation 4 for remote play. Read on for more! 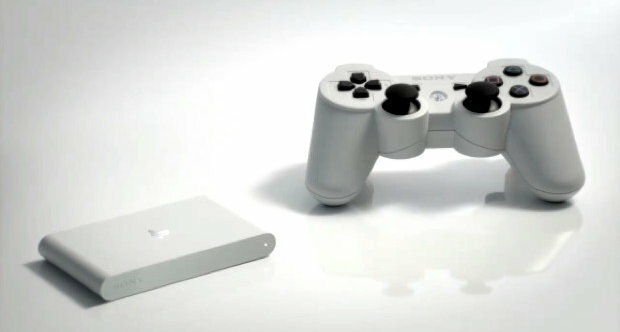 The tiny silver box will come with a slot for PS Vita Card, and let you enjoy the vast library of PS Vita games on your TV. In addition to this, users will be able to play the huge PSOne and PSP library games via the online store as well. PS Vita users can also connect to the PS Vita TV for multiplayer gaming. It’s probably better playing on the PS Vita TV though, because you can use a DualShock 3 controller. As for future plans, once the PlayStation 4 is out, a system update will allow users to remotely play games, so that you don’t need to be in the same room as the actual console. It’s a neat feature that lets users go ahead and play games without interrupting services on the PS Vita TV, perfect for families with mutiple television sets. The device sounds very exciting and the best part is the price. For just the PS Vita TV and basic connecting wires, it’s $100, and a bundle with one DualShock 3 controller and storage card extra will cost 150$. Unfortunately though, it’s only set to release in Japan for now on November 14th, no word on a global release yet. Little solace for the Japanese though, since Sony just announced that the PlayStation 4 will launch in Japan in February 2014, 3 months after the North America launch. Odd, considering Japan is Sony’s home country. All that aside, here’s a video showing off some of the PS Vita TV’s capabilities, do let us know what you think!